The Chinese Chicken Seekh Kabab is a very unique fusion recipe. What’s more? You can tweak the spices in the recipe below to make it taste perfect for your diners specifically. View the full recipe below and offer it on your menu! Marinade the chicken for 12 hours before skewering along with vegetables. 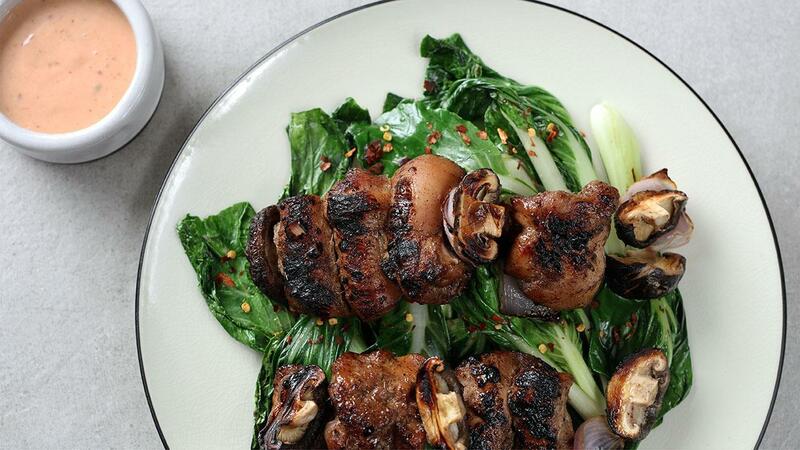 Serve the kebabs on top of sautéed Bok Choy. Alternatively use cabbage if Bok Choy is not available.